When you ask anyone at Chimu What is it about Latin America? A huge smile appears across their face and their eyes glaze over as they are transported back there. Some will be thinking of the morning they saw the sun rise over Machu Picchu, others of snorkeling with baby sea lions in the Galapagos or maybe sailing along the awesome Amazon River. Wherever their mind takes them, they are all thinking of the same thing- the moment I fell in love with Latin America. For me personally, it’s the sand dunes of Genipabu just outside Natal in North East Brazil. I was literally fresh off the plane at the beginning of my year studying out there. I’d spent the day whizzing across the dunes in a dune buggy (an experience not to be missed!) and swimming in crystal clear lagoons. It was the end of the day and as I stood on top of a dune looking out to sea watching the sun set, I turned to my friend and said I think I’m going to like it here. That moment has always stayed with me and from then on I was hooked. In this series of blogs the wonderful staff of Chimu Adventures from across the globe (we have offices in Australia, Peru, Bolivia, Argentina, Brazil and the UK) will tell tales of their favorite destinations. 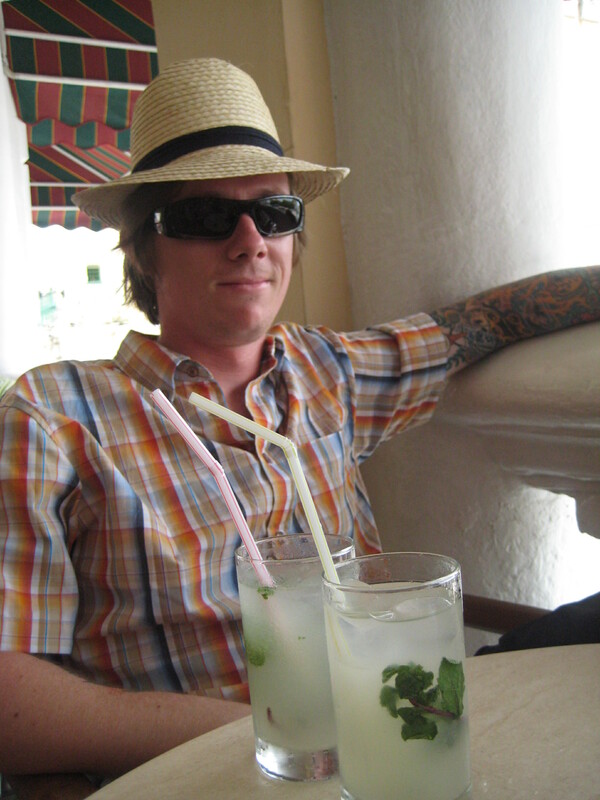 The first blog is from Matt in our Sydney Office. 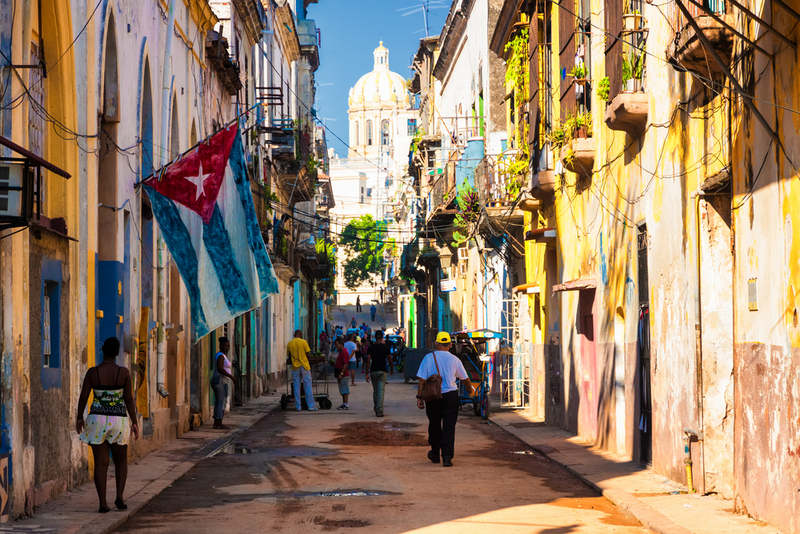 Having traveled extensively in Latin America including Costa Rica, Ecuador, Peru, Bolivia and Brazil, it’s difficult to pick a favourite, but if I’m really pushed, I’d have to say Cuba. It’s like nowhere I’ve ever been in the world! I think it’s the history of the place that fascinates me the most. The revolutionary times of Che Guavara and Fidel Castro, which still leave their mark on the landscape today. It’s as though the entire country stood still in the 50’s while the rest of the world carried on. In Havana, vintage American cars wend their way through the crumbling colonial old town giving the place an air of yesteryear grandeur. It has to be seen to be believed. There are no shops to speak of in Cuba and nobody really has any material possessions. Despite this, people seem very happy. They are so warm and welcoming. Everyone wants to talk to you, find out where you’re from, why you’re in Cuba. They all love to sing and dance and of course enjoy their famous Havana Club rum– something I certainly enjoying getting involved in! There is a wonderful old bar in Havana called El Floridita. It’s famous for its amazing daiquiris and for being a favorite hangout of Ernest Hemingway. Its probably just as popular now as it was then and I doubt much has changed from the bars decor to the drinks they serve up. 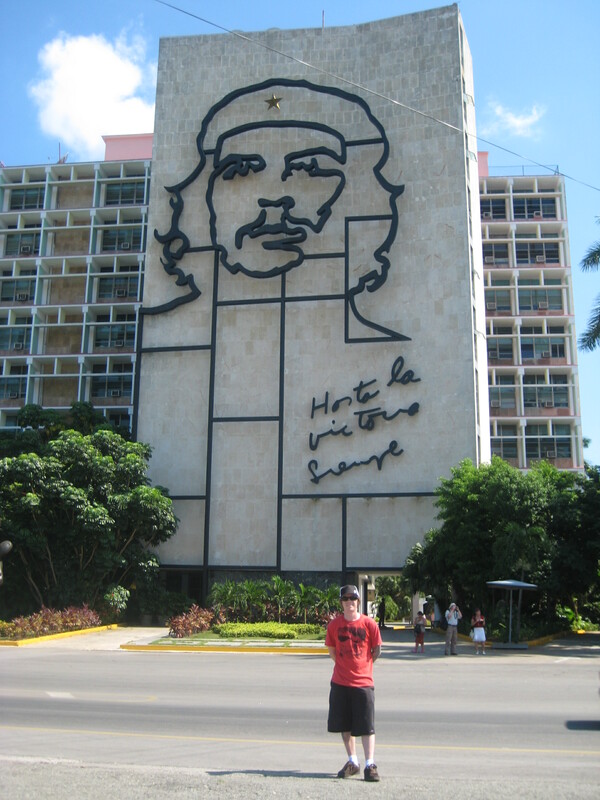 If you do go to Havana its an absolute must! Trinidad in the south also has a stunning colonial centre filled with salsa bars. If you like dancing, you’ll love Trinidad! The great thing about Trinidad is its location. The old town is just inland, but a short 15 minute drive to the stunning Caribbean coast and some incredible beaches. Then north of the city is the spectacular Escambray Mountains, which is a great trekking destination. The Topes de Collantes nature reserve in the south east of the mountains is only a short distance from Trinidad and showcases a whole host of beautiful waterfalls, rivers, caves and canyons. A day spent there is my idea of bliss. I can’t wait to go back! For more information on Cuba click here.